Mac-compatible photo ID systems include everything that you need to design and print stunning photo ID badges from your Mac computer. 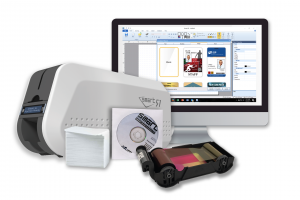 Each system includes a single or dual sided card printer, CardPresso ID card software XXS, a full color ribbon, blank cards and a Mac compatible camera. 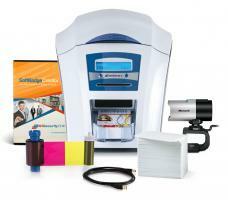 WHAT�S INCLUDED IN YOUR PHOTO ID SYSTEMS FOR MAC? All our photo ID systems for Mac come with everything that you need to issue all your cards and badges on demand. 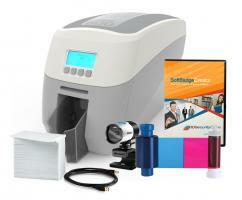 Our systems are extremely easy to set up: you will be ready to print high-quality ID cards within minutes. 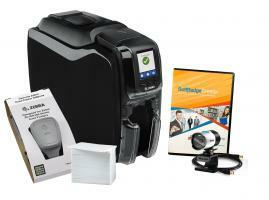 Built to last, each system comes with a 3-year warranty for a stress-free card printing experience. You also get free shipping and toll-free customer support to get answers to all your questions whenever you need it. IS EVERY COMPONENT 100% MAC COMPATIBLE? Yes, that�s what makes our systems unique. Each bundle is compatible with Mac OS X 10.5+. Each system comes with an Evolis Primacy ID card printer. The Evolis Primacy single-sided ID card printer is a high-end ID card printer that prints high-quality badges time after time. 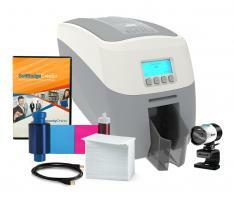 Fast, Primacy can produce up to 210 full-color single-sided cards per hour. For an even faster throughput, the printer is equipped with 100-card capacity input and output hoppers conveniently located at the front of the printer. 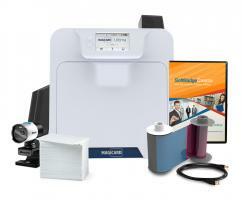 The printer is packed with user-friendly features: instant alert pop-ups, easy card loading, a 30-card reject tray, and drop-in ribbon cassettes. 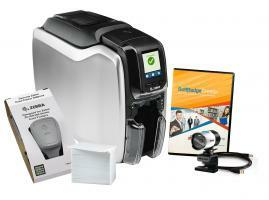 We have also included CardPresso ID card software XXS. CardPresso has designed ID card software specifically for Mac. 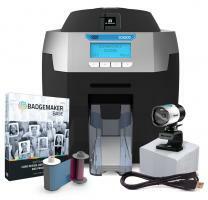 Easy-to-use and powerful, it is the perfect solution to create spectacular badges within minutes. Design amazing cards using predefined templates and the clipart library, also available in numerous shapes for easy design card layouts. Use the Edit View unique feature for database entry up to 10 records, which makes it ideal for small organizations. The XXS version of CardPresso ID card software supports barcodes 1D, WIA/TWAIN and DirectShow acquisition as well as magnetic encoding. 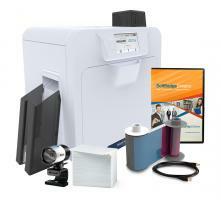 To capture photo IDs, our credential camera is also 100% Mac compatible. The camera's five-layer glass, full HD 2.0 megapixel lens offers stunning pictures for high-quality photo ID badges. All our photo ID systems for Mac will allow you to print high-quality badges for all your applications. Here are a few examples of the most popular uses for ID cards.